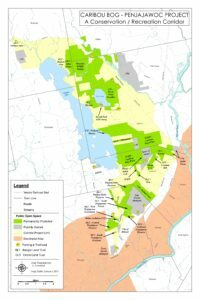 OLT preserves eleven properties in fee (629 acres),nine conservation easements (657 acres), eight trail easements (3 acres) and stewards 190 acres of other private and public land. OLT maintains these properties and trails for public non-motorized use, including walking, skiing, snowshoeing, geocaching, bicycling, and other low-impact recreational opportunities. Click the links below for more information, including downloadable/printable maps. 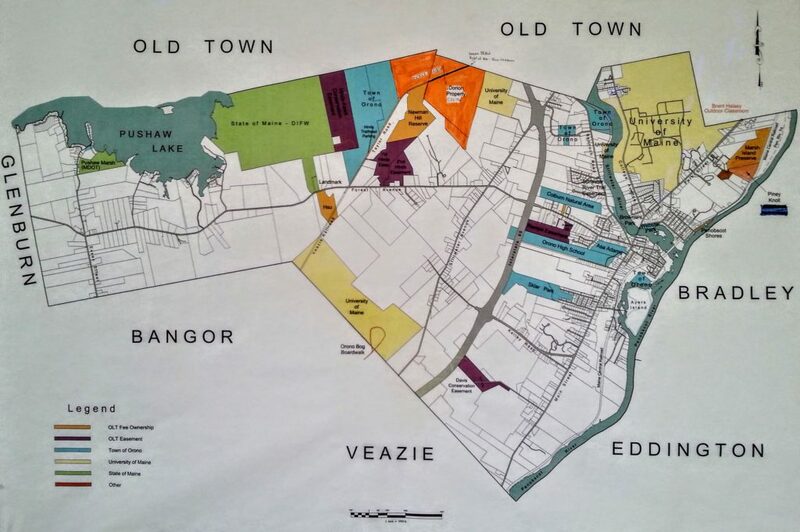 The Orono Land Trust, in collaboration with Bangor Land Trust, the municipalities of Bangor, Orono, Old Town, and Veazie, and others, to preserve open space and build a recreational and wildlife asset – from Bangor’s Essex Woods northwards beyond Pushaw Lake. This Bangor Daily News article is now several years old but does a nice job summarizing the project.